How can we make our trade show presence count? 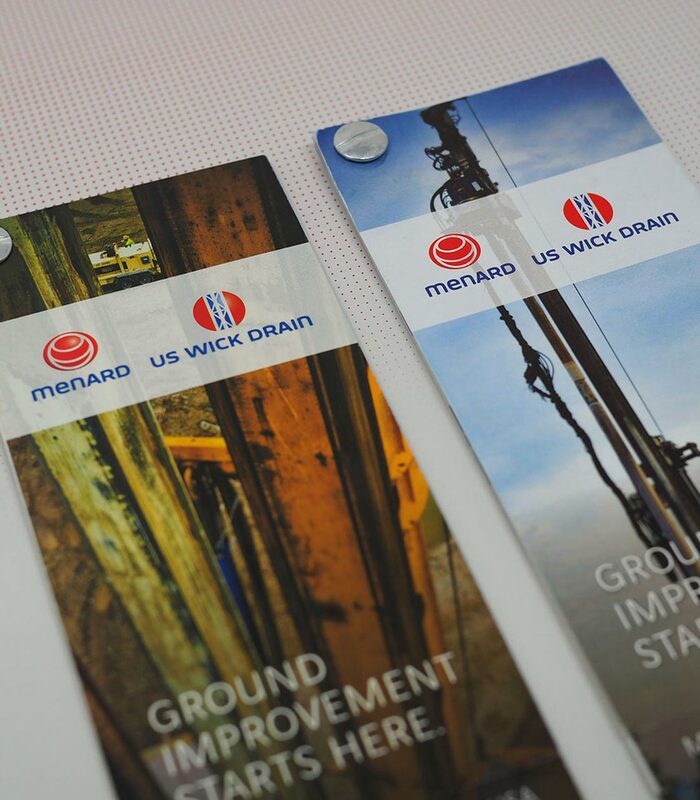 Avid trade show exhibitor, Menard Group USA, knew a few things: 1) Nobody wants to carry bulky brochures home or devour cumbersome information, and 2) Trade show giveaways are usually too generic to make an impact. Armed with this knowledge, they wanted a trade show giveaway that would get taken, used, and engage specific audiences. Some might say this is a lot to cover with a trade show “brochure,” but the challenge was exciting! Their marketing team’s openness, flexibility and collaborative-style made for lots of potential. 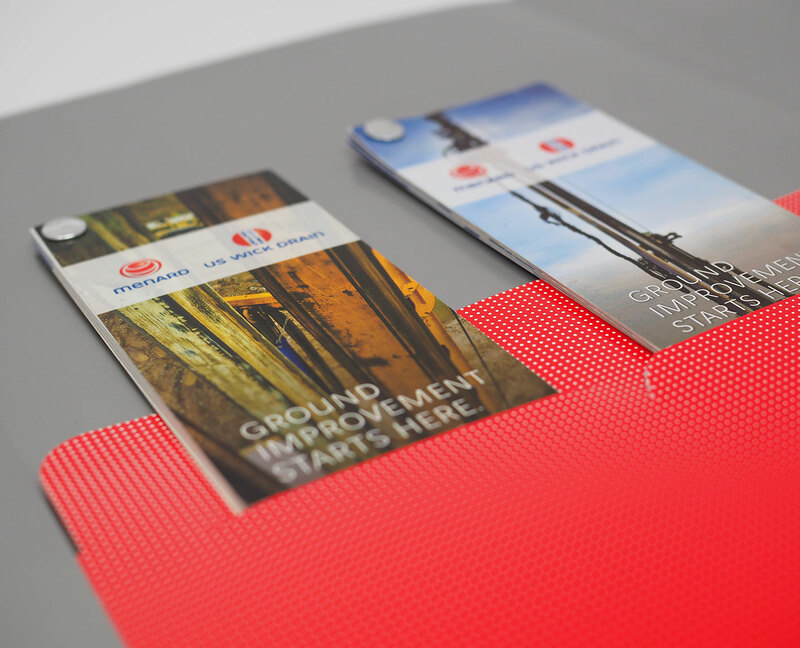 An awesomely different, ultra-compact “brochure”! 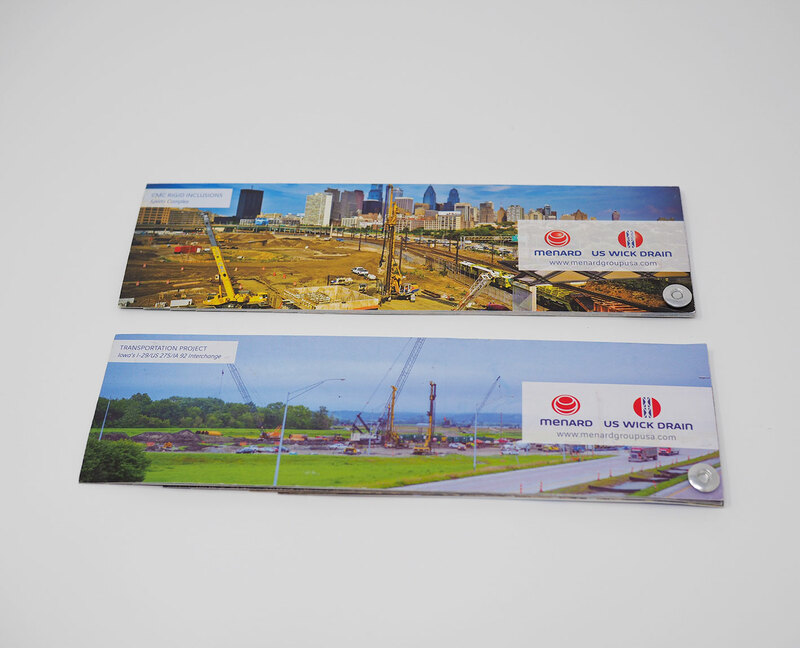 These super-compact pocket guides are not your average brochure. Visually interesting and designed for two different target audiences, they are packed with practical information, not only making them reference-worthy, but also making for a longer shelf life and lasting-usability. The waterfall effect on each “fan” quickly showed information being covered. 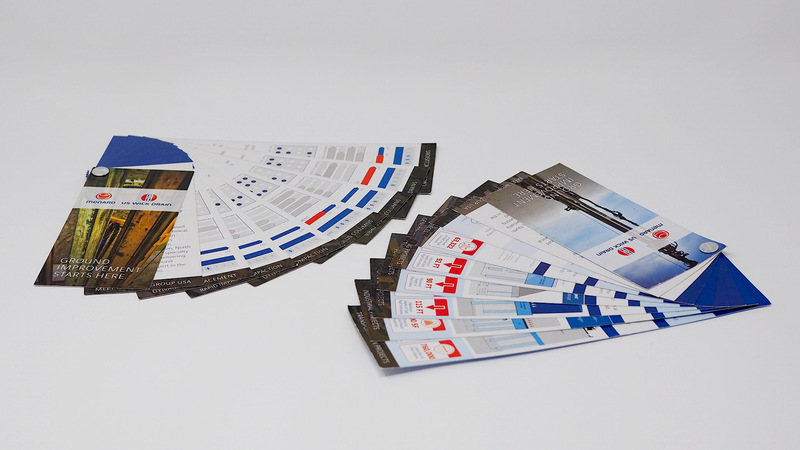 Serving as proof of success, these brochures are currently living on a number of clients’ desks! 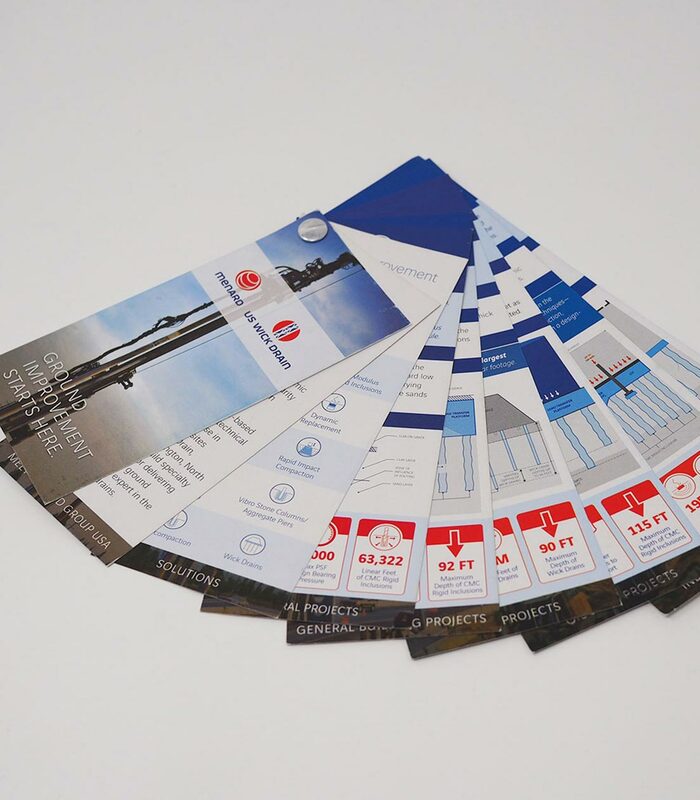 In addition, sales folders were designed to house these guides in the left inside pocket, giving them extra mileage and allowing both the business development and marketing teams to augment additional outreach efforts. 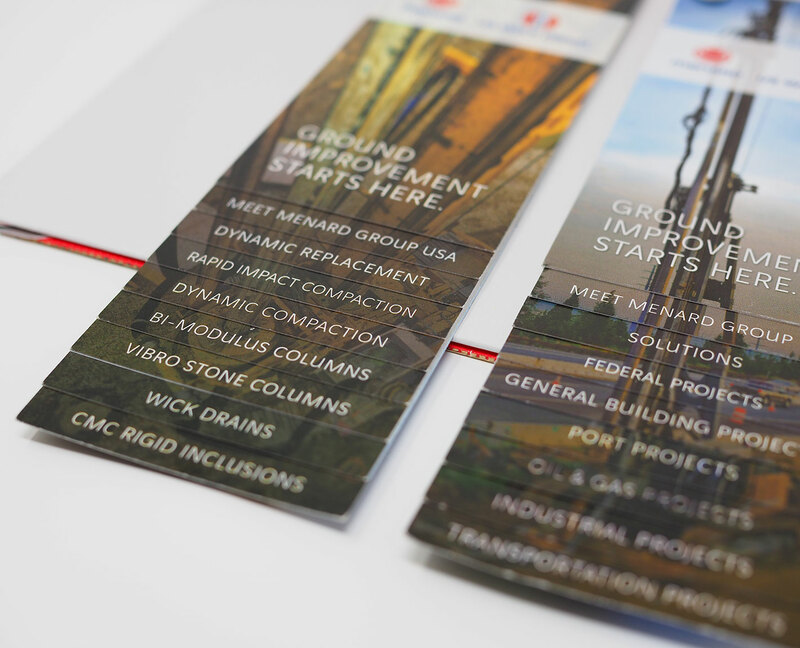 "Tara was the secret sauce to bringing our idea for a small yet mighty ground improvement brochure to life! She made sure the final product was both beautiful to look at and functional for our sales team."